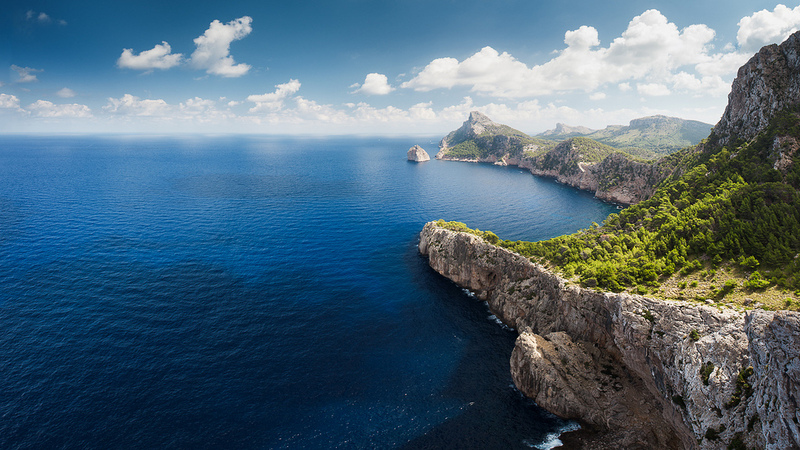 Mallorca is beautiful in early February with almond blossoms bursting forth – its blissful, heady perfume everywhere. More unexpected delight lay in its sophistication of its food and drink scene. As we settled down to a late afternoon Paella, on a shady terrace in the pretty northern town of Alcudia, the waiter recommended an Albarino. It was this very moment that sparked my enduring love affair with Galician white wine. It was a chance encounter – but the start of my meaningful relationship with a wacky bunch of grapes unique to the remote north west corner of Spain. Historically, I’d encountered way too many Spanish whites that were either too oaky or just plain dull. Albarino had me hooked from that first sip. Apricot scented, fresh yet also creamy, its intriguing spicy and mineral flavors continued at infinitum, long after the first taste disappeared. Sublime with shellfish and a slam-dunk for my favourite griddled scallops. 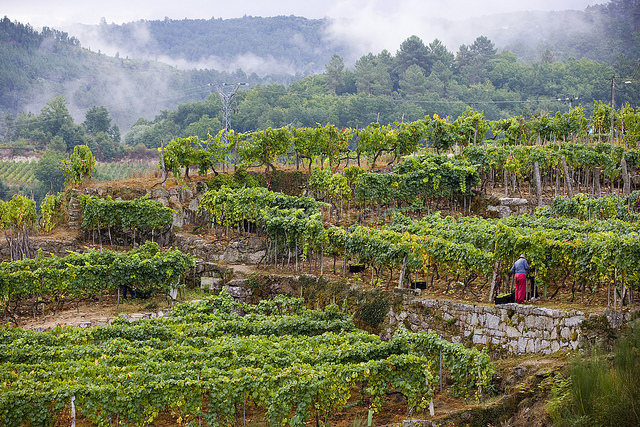 Albarino became Spain’s trendiest white, while putting Galicia’s rugged coast on the radar. Galicia’s interior however, stayed just as isolated as it had always been: even Roman Legions struggled up here. Where’s this famed Galician interior? Head inland along the Minho River, just north of the border with Portugal. You’ll leave the blustery Atlantic behind. The higher you climb through the small regions of Ribeira, Ribeira Sacra and Valdeorras, the cooler and drier it will become. This is a remote and mountainous landscape, peppered with tiny plots of vines. This is where Godello and Treixadura grapes thrive. And it’s Godello (pronounced go-day– yo) that’s the better known so far. Two of Spain’s best winemakers, Telmo Rodriguez and Rafael Palacios, are based in the Bibei valley in Valdeorras. This is Godello’s heartland, where ancient vines, steep slopes and poor, granite-rich soils give the wines power, intensity and freshness. I love Godello’s seductively ripe notes of sweet, ripe apples, ginger and quince. The first sip may surprise you. Who’d guess that lurking beneath the surface of this golden, honey-scented charmer there’s a core of acidity and minerality that balances that inviting silky texture so well. It’s a wine of hidden depths. It won’t scream at you from the glass – and it definitely needs to be wooed, mulled over, savoured, to fully appreciate its subtle appeal. Treixadura (pronounced tresh-a –doo –ra) is a bit more upfront and feisty. It announces its arrival with a blast of ripe peach and a mouth-filling, rich texture. To feel the difference just a bit of Treixadura makes to a blend, try an Albarino from the O Rosal part of Rias Baixas. Here it’s just warm enough to ripen Treixadura. Terras Gauda or, from just across the Minho River into Portugal, Quinta do Feital make great examples of this type of blend. For total Treixadura immersion therapy there is no better fix than The Flower and The Bee from Coto de Gomariz –an organic estate in Ribeiro. These guys set out to make a great quality, affordable example of this little -known grape and they’ve more than succeeded. There are few whites I’d rather come home to. If you’re a Chardonnay or Viognier lover try either Godello or Treixadure – you’ll love the fruit and the texture. If Sauvignon Fatigue is setting in try an Albarino for its fresh aromas and kinder acid levels.